Looking for a new travel destination? Then Puerto Rico may be a great place for you to experience. Although this area has Spanish heritage, it is technically a United States territory. So, you can experience all of the unique culture this area has to offer, without spending all day on an airplane. The flight from Miami to Puerto Rico is just three hours – so it won’t take too long to get to this gorgeous place! Even though it is linked to the United States, you won’t have to worry about seeing the same old things. Puerto Rico is completely different to any place you’ve ever seen before! There are many different things that you can see and so in Puerto Rico. Let’s start with the natural beauty the area has to offer. For starters, you can always head to the beach! They are known for having areas with calm clear water, along with other areas that have massive, 20-foot waves. So, whether you’re looking to go surfing or take a swim, there are spots where you can do it all. The landscape is definitely diverse, as well. It has jungle areas, caves, and bustling city life. If you don’t want to deal with the crowds, you can also head to some of the smaller islands, like Vieques and Culebra. 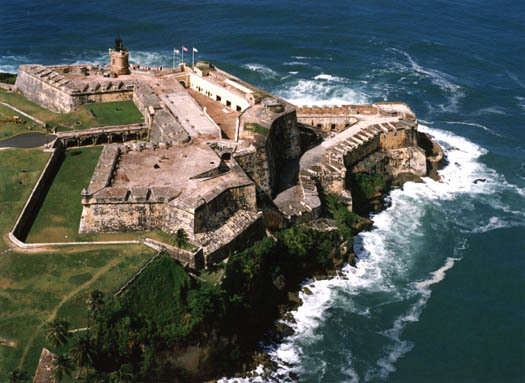 When it comes to things to do, you can head to El Morro (a massive fortress that was built in the 1500s) and the Fort San Cristobal. It was originally built to protect Old San Juan from attacks. This particular spot isn’t as popular with tourists, but it offers an incredible view and a ton of history. Plus, you an get a great deal on admission if you head to El Morro first! Other great places to see are the El Yunque National Rainforest and the Parque de las Cavernas del Rio Caumy. These places blend historic buildings and beautiful backdrops. It’s not just the sights and attractions that make Puerto Rico special. There is also the food to consider! This area is known it’s amazing food. What makes the cuisine and other overall culture unique is the blend of many different backgrounds. For instance, it combines North American, Caribbean, and the indigenous tribe of Taino together. What does that mean? Amazing food! You can try eating comida criolla, which is a traditional Puerto Rican dish and a raft of other delicious food items that are unique to the area. If you are looking for great places to eat, head down to South Fortaleza Street. This is where all of the latest restaurants and bars are located. There is no doubt about it: Puerto Rico is a truly spectacular place to visit. You can check out the amazing sights, experience great local culture, eat delicious food, and visit some incredible historic buildings. So, wherever you choose to go during your vacation, your days will be jam-packed with fantastic experiences. If you’re ready for a little adventure, pack your bags…. Puerto Rico is waiting for you.